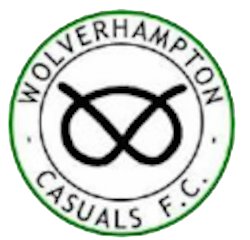 A second-game in 48 hours will see Sporting Khalsa visit Brinsford Lane, home of West Midlands Regional League Wolverhampton Casuals (kick off 7.30pm). It’s been all change at Brinsford Lane in the close season. After finishing ninth last season, manager Mark Holdcroft departed the club and was replaced by Wednesfield boss Dean Gill. The club’s preseason activity will be encouraging to Cassies fans, boasting wins over Tipton (4-1), Gornal (5-0) as well as a credible 4-2 defeat against Alvechurch. Sporting Khalsa head into the match on the back of a goalless draw against Halesowen Town on Tuesday night and, before that, a 7-0 win against Dudley Town.